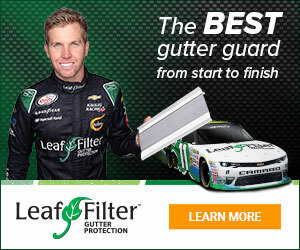 Sep 08, 2016 There are many different factors that go into the price of LeafFilter, such as inside and outside corners on your gutters, number of stories on your home, and if you need gutter replacement. This is why the price will vary from neighbor to neighbor. Additionally, one homeowner may have been eligible for discounts and promotions depending on a number of different factors (time of year, military discount, senior discount, etc.). It's our mission to provide homeowners with the best possible price along with the best possible product. It's a get rich quick scam for the company, and it won't be long before they have to many complaints and lawsuits and will file for bankruptcy. And run laughing all the way to the bank. I have seen them sell the product to a customer for $28.00 a foot and then run into a tougher sell customer and sell the same exact thing to the harder to sell costumer for as little as $10.00 a foot. So it is a real scam. Oh and if u do sign the contract, call the next day, cancel, and u will get it offered to you as low as $10.00 a foot to keep the sale. Review #478565 is a subjective opinion of User478565.